Air India Limited is going to organize a Walk-in-Interview for the recruitment of Seventy- Nine (79) eligible aspirants for the vacant posts of Trainee Controllers & DEO. Through Air India Recruitment 2019 notification organization has invited eligible individuals to appear for the Walk-in process at the scheduled dates. The Walk-in-Interview will be conducted for the said vacancies on 30 April 2019 and 02 May 2019. In order to appear for the interview aspirants require to prepare an application form as per the guidelines. The direct link for the format of application form has been provided on the below section of this page. 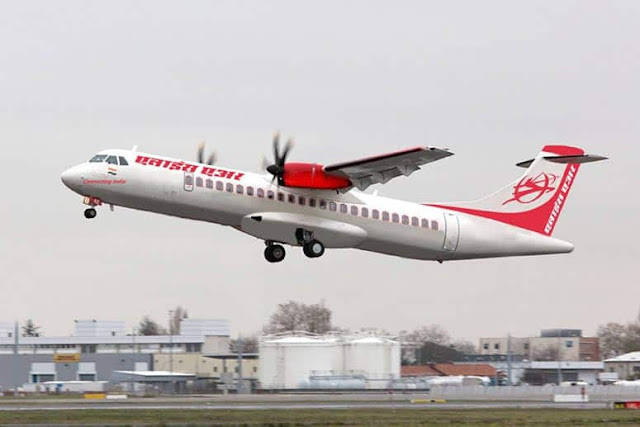 You can check the complete details of Air India Recruitment 2019 by going through this page. Read: What is National E-Governance Plan? Now from the next page, you are required to go to “Requirement of "Trainee Controllers" and "Data Entry Operators" in Air India Limited” post and press the “Requirement of Trainee Controllers / Data Entry Operators on Fixed Term Contract -Air India Limited” link. Thereafter press the “Application Format- Trainee Controllers / Data Entry Operators” link. Application format will be opened at your screen, take a print out of the form. Keep the application form safe with you and carry it with you at the time of the Walk-in process. Air India Limited has released the notification for the seventy (70) vacancies for the post of Sr. Trainee Flight Dispatcher. As per the Air India Recruitment 2019 details organization will recruit the eligible aspirants for the said vacancies though Walk-in process. Those individuals who are interested and find themselves eligible can appear in the walk-in round on scheduled dates. After going to the home page you are required to press the “Careers” link visible at the bottom of the page. A page will appear at your screen, go to Advertisement for Requirement of "Flight Dispatchers" in Air India Limited “ notification has hit on the “Requirement of Flight Dispatchers on Fixed Term Contract -Air India Limited” link. Now go back to the previous page and press the “Application Format - Flight Dispatchers” link. Fill the application form as per the norms. Now keep the filled application form safe with you and carry it at the time of Walk-in round.